Design Architect: Opus AE Group, L.L.C. ; KKE Architects, Inc. 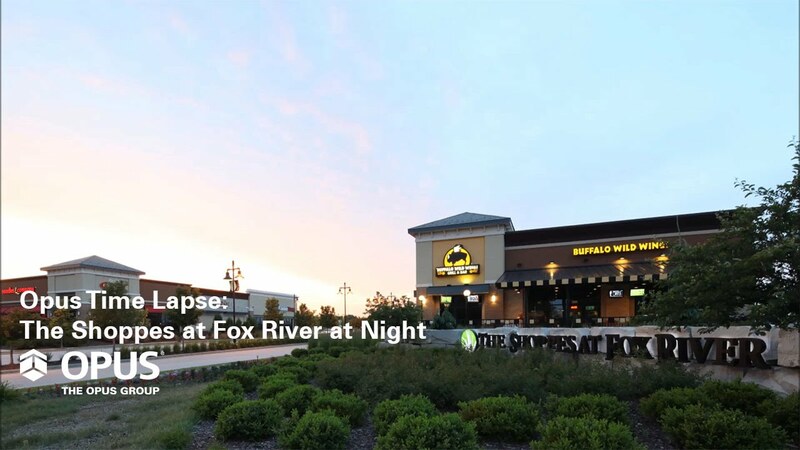 The Shoppes at Fox River is a first-class retail development located in Waukesha, Wis. Adding to its already strong retail portfolio, Opus has led the development and construction of this project since the first phase broke ground in May 2008. Well received by the community as a retail and dining destination, The Shoppes at Fox River transformed a former SuperValu distribution facility. Phase I of the project consisted of 54 acres and approximately 273,000 square feet of retail space. While the facility was under construction, experienced members of the Opus team committed their time and talents to securing tenants for this premier retail center. Anchor tenants include Target and a LEED Silver Certified Pick 'n Save grocery store. The Shoppes at Fox River has received many industry accolades including the Design-Build Institute of America National (DBIA) Merit Award, the WCREW Showcase Award and second place in the Business Journal Real Estate Award for the Best New Development in Retail in 2010. April 2012 marked the groundbreaking on the first development in Phase II of the retail development. Opus again called upon its talents as a design-build firm to manage the development from the early planning stages to securing and managing tenants. The development includes more than 47,000 square feet of retail space on six acres of land adjacent to the existing Phase I buildings. The first Phase II development includes a T.J. Maxx, Ulta Salon and Cosmetics, Rue 21 and a Charming Charlie’s. The building is located on the northeast corner of the site, in line with the Pick ‘n Save.